PreSonus Studio One, the company’s capable DAW has undergone a fairly serious overhaul for version 4. Studio One 4 Professional, the flagship edition of the music production software adds new Harmonic Editing features that are designed to let you quickly try out alternative harmonies, transpositions, and chord progressions. One of the ways PreSonus are aiming to achieve this goal is with the Chord Track that now analyses both MIDI note data and audio. 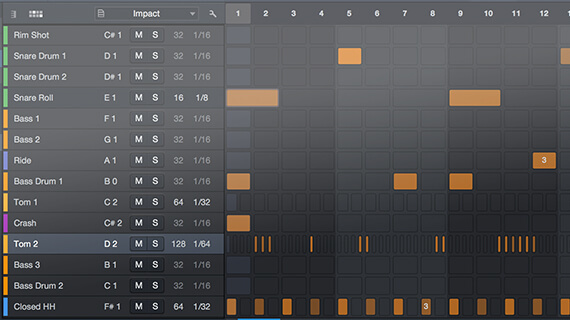 Also, a new Chord Selector has been included to speed up experimentation with chord patterns. Patterns is Studio One's advanced new step sequencerNew for all editions — Professional, Artist and the upcoming free Prime — is Studio One Patterns. This souped-up step sequencer integrates with Instrument Parts and automation, offering many more expressive possibilities than typical step sequencers. Patterns can also live side-by-side with conventional Instrument Parts on the same track. Meanwhile, Studio One 4’s Musical Editor adds deeper editing features, speeds up the editing workflow, and simplifies recurring tasks, claim PreSonus. 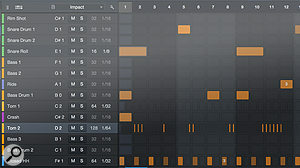 In addition, a streamlined new Drum Editor enables quick editing of drum parts. New in Studio One Artist and Studio One Professional, Impact XT adds more than 20 new features, transforming the Impact drum module into a complete production environment for beats and loops. Sample One XT has also been expanded with greater sampling features and synthesis-type options. In addition, you can drag-and-drop samples between Sample One XT and Impact XT and exchange samples with instruments like Presence XT using a common exchange file format. PreSonus worked with Celemony on the original Audio Random Access (ARA) spec that allows for seamless integration with Melodyne and ReVoice Pro. Studio One 4 is ready for ARA 2.0, which provides access to data from multiple tracks. Version 4 also eases the process of switching from other DAWs to Studio One by supporting AAF (Advanced Authoring Format) for data exchange with Pro Tools, Logic, Nuendo, Final Cut Pro, Premiere, and more. Studio One 4 Professional and Studio One 4 Artist are available now for $399.95 and $99.95 respectively. 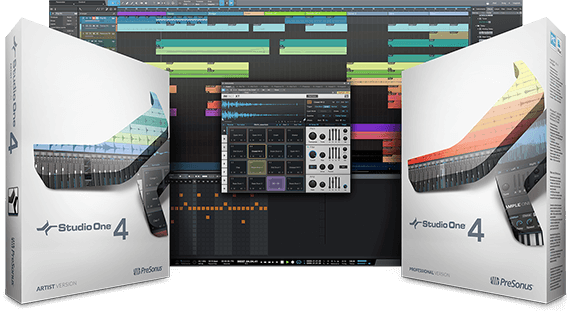 PreSonus have also revealed that they will be launching a free version of the DAW — Studio One 4 Prime —will more details to be revealed soon. As you’d expect, upgrades and crossgrades are also available.